This distinctive ring, featured on the Fall/Winter 18 runway, is hand-crafted from sterling silver, black enamel and cubic zirconia. The band is finely engraved with the intrecciato pattern and topped with various geometric shapes, inspired by Art Deco style. It’s brushed here and there with a 24-karat gold patina. 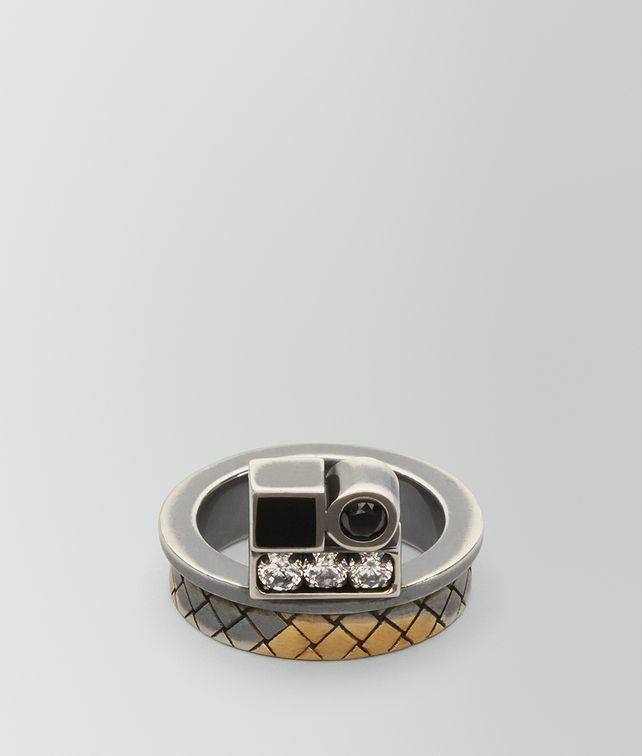 Wear it on its own or stacked with similar rings from the BV Inlay Deco collection. Stones diameter: 3 cm | 1.2"